Basa Pilipinas was a four-year early grade reading project that operated from January 2013 to December 2016 and supported the Philippines Department of Educations national reading program. Basa assisted the Department of Education (DepEd) implement transformative literacy practices in selected divisions of Regions 1 and 7 by providing teacher and student materials, training teachers and school heads, and providing post-training support for Grade 1, 2 and 3 teachers, as well as providing Early Language, Literacy and Numeracy training to kindergarten teachers. The Liberia Teacher Training Program II (LTTP II) is a partnership between FHI 360 and RTI International to provide support to the central Ministry of Education (MOE). The overarching goal of LTTP II is to enhance pupils learning in general, and reading proficiency in particular; establish a functional teacher professional development (PD) system; and strengthen the MOEs capacity to manage such a system. The LTTP II was originally designed to work in nine counties: Grand Gedeh, Grand Kru, Lofa, Maryland, Montserrado, Nimba, River Cess, River Gee, and Sinoe. 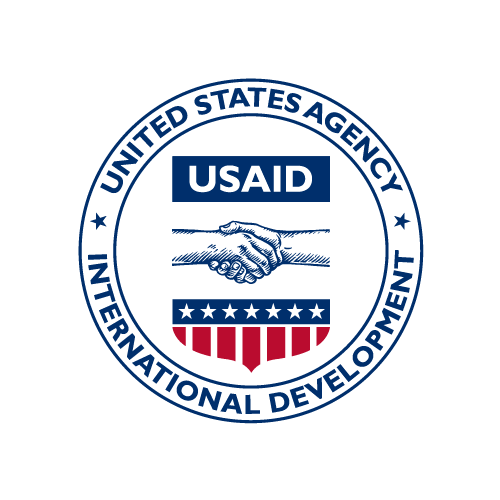 In 2011 and 2012, because of changes in USAID policies, the number of counties was reduced to five (i.e., Bong, Lofa, Margibi, Montserrado, and Nimba), which USAID identifies as a development corridor, containing a majority of the Liberian population. Result 1: MOE, County Education Office, District Education Office, and Rural Teacher Training Institute (RTTI) capacity strengthened to plan, manage, and monitor educational services. Result 2: Improved teacher policies and procedures for teacher recruitment, training, deployment, and career development. Result 3: Improved teacher training programs and reading and mathematics delivery systems. The LTTP II intervention drew on the EGRA Plus model to introduce similarly structured reading and math programs in grades 1, 2, and 3 to approximately 1,020 schools in four counties (i.e., Bong, Lofa, Montserrado, and Nimba) in a phased approach. Cohort 1, the first to receive support, had 792 schools. During the middle of the 2011/2012 school year, the reading program was introduced in all three grades in these schools. During the middle of the 2012/2013 school year, the mathematics program was introduced in all three grades. Cohort 2, consisting of approximately 330 schools, began participating in the programs reading and mathematics interventions during the 2013/2014 school year and continued during the 2014/2015 school year. Some changes, although not significant, were made to the intervention approach for supporting the Cohort 2 schools. Cohort 1: Schools from the four target counties included in Cohort 1 served as the treatment group for the midterm assessment. These schools stopped receiving LTTP II support after the midterm assessment, but they participated in the endline assessment, as a way to determine whether the gains that were achieved during the treatment were sustained. Cohort 2: Schools included in Cohort 2 in the same four counties began to receive treatment after the midterm assessmentthus, during the final two years of the program. Cohort 2 schools served as a control to which the Cohort 1 results were compared. The performance of Cohort 2 schools were to be compared to that of Cohort 1. The biggest challenge that the program faced regarding the implementation in Cohort 2 schools was the school closings because of the Ebola crisis. Schools were closed between September 2014 and February 2015. Even after the official reopening date, with the gradual actual opening of schools that required LTTP II to wait until schools were safe to open, it took several months to distribute books to schools and to train teachers which in turn severely affected the implementation of the treatment. External Cohort: A randomly selected sample of schools outside the four target counties served as another comparator, especially after Cohort 2began receiving treatment alongside Cohort 1. Except for a small number of schools associated with the RTTIs, schools outside the four target counties did not participate in the program during the lifetime of LTTP II. The USAID/Kenya Primary Math and Reading (PRIMR) initiative is a task order under the USAID Education Data for Decision Making (EdData II) project that operates in collaboration with the Kenyan Ministry of Education, Science and Technology (MoEST) and USAID/Kenya, and implemented by RTI International. The program is a randomized controlled trial intervention that included formal (public or government) schools and low-cost private schools (LCPSs) located in Nairobi, Kiambu, Nakuru and Kisumu counties. PRIMR and its Kenyan partners created, published, and distributed new teaching and learning materials, based on the existing Kenyan curriculum; designed and led professional development to build the skills of educators and improve student literacy outcomes; and introduced a number of innovative teaching methods. Teachers and head teachers received training to encourage active learning and participation by both girls and boys in the classroom, and were further supported with frequent visits and advising by trained instructional coaches. By mutual agreement among the MoEST, USAID, and RTI, approximately 500 formal (public or government) schools and low-cost private schools (LCPSs) located in Nairobi, Kiambu, Nakuru, and Kisumu counties were to participate in the PRIMR Initiative. To choose the sample of formal schools, the project team first selected all eligible zones from within the selected locations, then randomly assigned a subset of zones to groups that would receive the PRIMR treatment in phases (Cohorts 1, 2, and 3). Across all three cohorts, 262 formal schools were selected. Sampling for LCPSs began by clustering the schools into geographic groups of either 10 or 15 schools from across Nairobis divisions. Twenty clusters then were randomly assigned to Cohorts 1, 2, or 3, stratified by geographic region. The number of LCPSs selected was 240. In January 2012, the Cohort 1 schools (125 schools: 66 public, 59 LCPS) began implementing the reading interventions using PRIMR-designed materials and techniques, and the math intervention followed beginning in July 2012. The Cohort 2 schools (185: 65 public, 120 LCPS) began reading and math interventions in January 2013. Cohort 3 schools (101: 51 public, 50 LCPS) served as a control group for most of the program, and then began receiving the full intervention during the final stages of PRIMR (January 2014). In addition, it was decided that the 2014 phase of the intervention would be extended to all 547 remaining schools, rather than only to Cohort 3 as originally planned. As a result, the number of pupils benefitting increased from 12,755 in January 2012 to 56,036 in January 2014. Randomly selected students from all treatment and control schools were assessed via administration of a combined Early Grade Reading Assessment (EGRA), Early Grade Mathematics Assessment (EGMA), and Snapshot of School Management Effectiveness (SSME) at three time points: baseline, midterm, and endline. The PRIMR Initiatives research design included several experiments within an experiment. These consisted of a study of three different combinations of information and communication technology (ICT) as teaching and learning aids in selected schools in Kisumu County; a longitudinal study of about 600 students who were assessed at all three time points, with their reading and numeracy competency levels compared and contrasted across the assessments; and MoEST-driven policy research on various education issues at the national level.